Joe and Allie Teach: Kangaroos in first grade? 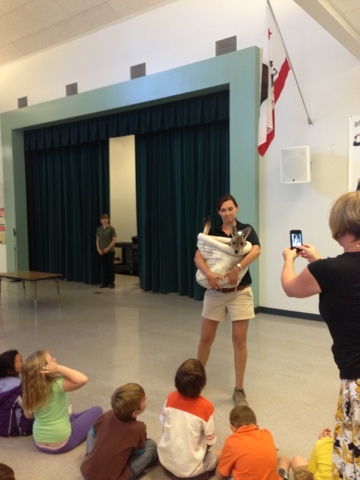 We had a local animal rescue center called Zoo to You come to visit our school this week. They brought a monkey, owl, porcupine, kangaroo, and alligator to show us. It was so cool to see them in person! The kangaroo was 9 months old, but he still liked to stay in his pouch( a bag that his handler carried him out in). We learned how important it is to respect animals and nature.